It is true that black hair is more prone to breakage and slow growth due to its inability to maintain water. Additionally, if the hair is not regularly maintained (washed and moisturized) there is a higher percentage of the scalp developing bacteria or diseases. These ailments will hinder your hair’s ability to flourish and remain healthy. At Alabaster Wellness Clinic, our staff provides a client specific solution to their damaged hair using innovative and successful techniques. The Clinic’s mineral analysis helps identify the cause of diseases and disorders. 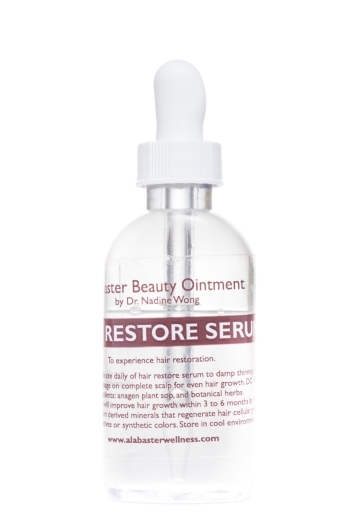 Following the results, a hands-on solution is designed utilizing naturopathy wellness, Alabaster Wellness Beauty Ointment products, and regular office visits to enrich your hair and recover its healthier, shinier and stronger state. The key ingredients in the beauty ointment products not only nurture your hair back to health but helps it regain and retain its moisture. 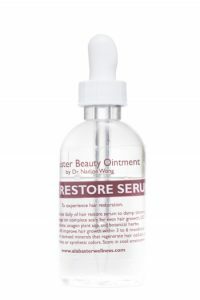 This inevitably will enable your hair to maintain its strength, limit breakage and prevent future ailments. Feel free to contact our office for any queries and questions.